Much like the shade of the mighty, every-growing pilkhan tree in the quadrangles of The Asian Heritage Foundation in South Extension II, is its doyen Rajeev Sethi. Much like the shade of the mighty, every-growing pilkhan tree in the quadrangles of The Asian Heritage Foundation in South Extension II, is its doyen Rajeev Sethi. 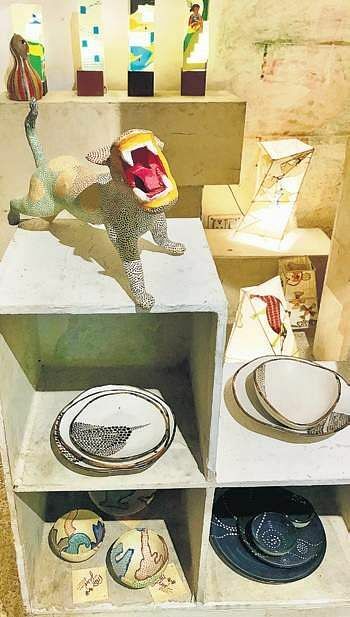 Just like the pilkhan that protects the vast reservoir of heritage swaddled in underneath, Sethi too, in his wise years, is trying to shelter the immensity of India’s cultural and artistic identity under his protective shield. Unfortunately, the leaves of the aged tree are starting to turn yellow, as though they can no more, carry the weight of neglect. But Sethi is determined to nurture it. The branches will lift themselves up to the sky as they will stand mute no more. And with its resurrection, another symbolic battle would have been won; a battle of preserving and promoting India’s skilled identity, just like the pilkhan tree, that Sethi has parented for decades now. Denuded by ignorance and apathy, the robustness of our country’s rural skill reciprocity has fallen to decay. The Foundation, of which Sethi is the founder, has therefore, pledged to make a difference. It’s latest effort comes in the form of Jiyo! Live It, a project the handmake industry in its enchanting glory. Jiyo! Live It is a philosophy that calls for immediate and urgent support towards marginalized communities who, despite possessing a gamut of skills, have been underrepresented. What we as a community have failed to recognise is that this inordinately apathetic treatment of India’s craftsmen has not just set back the indigenous industries, but also the economy. Delhi’s population is approximately 18.6 million and there are 12 million job seekers every year. “What are they going to do as there aren’t enough jobs. In schools, you deskilled them. That’s why you see people with Masters and PHDs applying for peon positions in government jobs. It’s frightening,” says Sethi. On their part, his team and he are working on curriculum for creative and culture industries, but it’s a long way still from bringing about significant change. “At my age, when I am about ready to sign off, I am going to die with a sense of great despair and cold panic. The incredibly tenacious talent made vulnerable, is due to an indifferent government,” says Sethi. The other notable disappointment comes from our unevolved pedagogy that could have salvaged the sinking ship of nonchalantness, however, it didn’t. Jiyo! Live hopes to revive trust in the rural skills system, in creating livelihoods and thus, promoting village industries as self-reliant, sustainable and independent entities. The project’s outreach efforts have reached tribal communities of Jharkhand, Odisha and Madhya Pradesh so far. The effort is supported by the Japan Social Development Fund and monitored by the World Bank. However, the project is still touching only the tip of the ice-burg, making Sethi ever more restless. “Through our humble effort, we’ve touched upon 12 districts, and barely 10 per cent of each of those. There are 628 districts in India that need immediate attention,” he says, with a sudden drop in voice. As we walk through the building to take in the work that’s being done by various committed workers, administrators, designers and artisans at the foundation, we are consumed by a sense of anguish. Nine large rooms, each dedicated to a particular native craft form open doors to creative dynamism, but a large part of their legacy has faded to oblivion. Jiyo has to reach the doorsteps of those who have incredible skills and don’t know where to go. In a country where they’ve not been mapped, what does brand skill India mean?, Sethi asks. “You have to position their skill so as to expose them to village haats, urban markets, export markets, without middle men. It’s possible in this digital age,” he says, prototypes of which, you see on display. Hand printed tents for itinerant tourism, bamboo fish traps sculptured into lights, gaming with gond, sabai grass furniture, leather lights made using origami, new age prints and cuts using traditional textiles, cow dung sculptures, and a lot more, all made relevant. 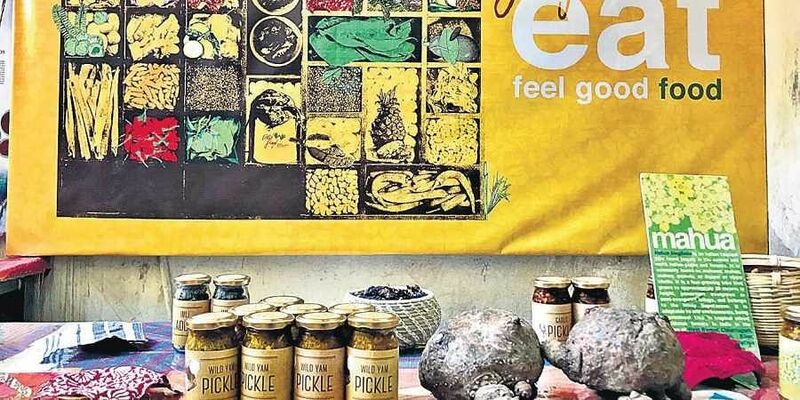 Additionally, women from Jharkhand and Andhra Pradesh have been mobilised to introduce micro businesses such as selling edible items from forest produce. Jiyo! Live it aims to empower communities in a way for them to own, promote, and take pride in their own brand. It’s to create a bank of creative skills that will honour individual efforts as well as strengthen India’s cultural reciprocity further. Till October 20: 12 noon to 9 pm, at The Asian Heritage Foundation, C- 52, South Extension II.